It’s been a rough week for the Green Bay Packers. On Sunday they suffered a humiliating loss at the iconic Lambeau Field – while Brett Favre was enshrined in their Ring of Honor at halftime – to the Dallas Cowboys. On Wednesday they announced that running back Eddie Lacy was out for their Thursday Night Football game against the Bears. And now there’s this. 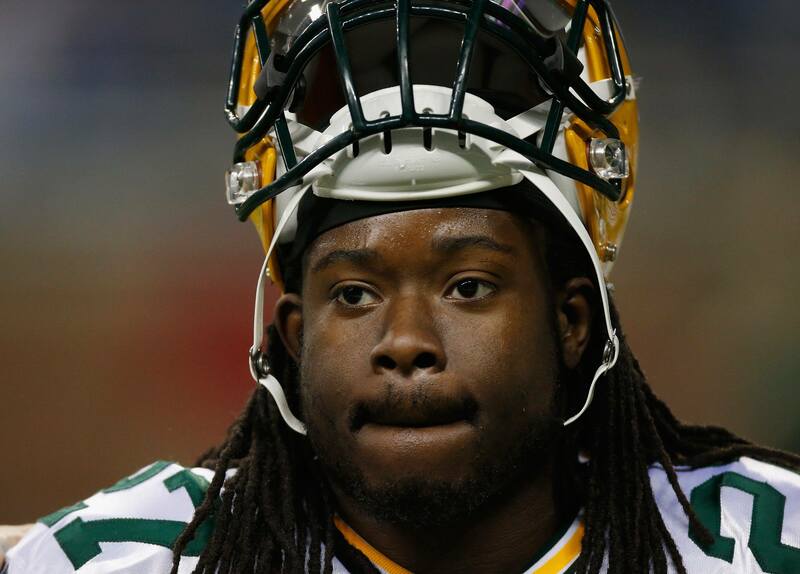 RB Eddie Lacy needs foot surgery and Packers will place him on IR today, per source. This is troubling news for the Packers who are watching their offense at its worst in the Aaron Rodgers era. Lacy had 71 carries for 360 yards through five games this season so it’s not like he was lighting the world on fire, but this loss is significant. According to NFL Network’s Ian Rapoport Lacy suffered more than an ankle sprain (which was his original diagnosis) and this surgery is in fact necessary. The Packers will also be without running back James Starks who underwent knee surgery and is expected to miss four weeks. The Packers traded with the Kansas City Chiefs earlier in the week and acquired running back Knile Davis, it’s also likely that they will promote rookie running back Don Jackson to the 53-man roster from the Practice Squad. Sunday’s game against the Cowboys might be the last time we ever see Eddie Lacy in a Green Bay Packers uniform as he is in a contract year this season. What do you make of Eddie Lacy headed to IR? Let us know! Comment below, Email me at RJ@RJOchoaShow.com, or Tweet to me at @RJOchoa!